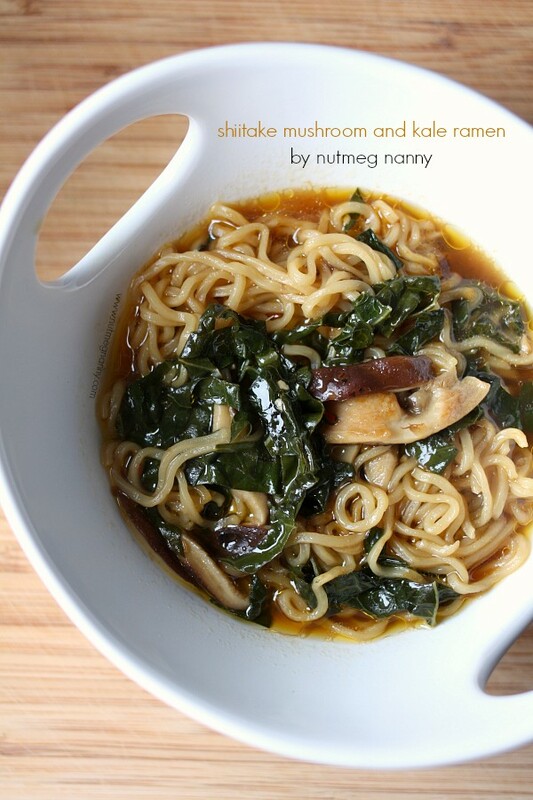 This hearty shiitake mushroom kale ramen is perfect for cold winter days. Packed full of vegetable stock, shiitake mushrooms, kale and ramen noodles. Growing up ramen was my afternoon snack. I would eat lunch at school around 11 am and by the time I got home from school around 4 pm I was starving. Luckily my parents didn’t mind me using the stove so I happily made my self a giant bowl of ramen every single day. I also made myself a huge mug of hot chocolate. 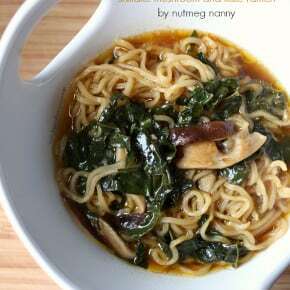 McCormick asked me to create a recipe for their Go4Gourmet challenge using shiitake mushrooms, kale, vegetable stock and ginger. Obviously, I went down the ramen route. 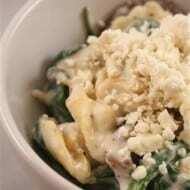 This big bowl of love is comforting and perfect for cold snowy days. Plus it can be ready in just about 30 minutes. Now the recipe makes just enough for one but I guess you could share it with husband/wife/partner/sister/brother/dog/cat if you’re generous. Note: I shared it with no one. Not even my cat who meowed at my feet like I was eating a can of sardines. 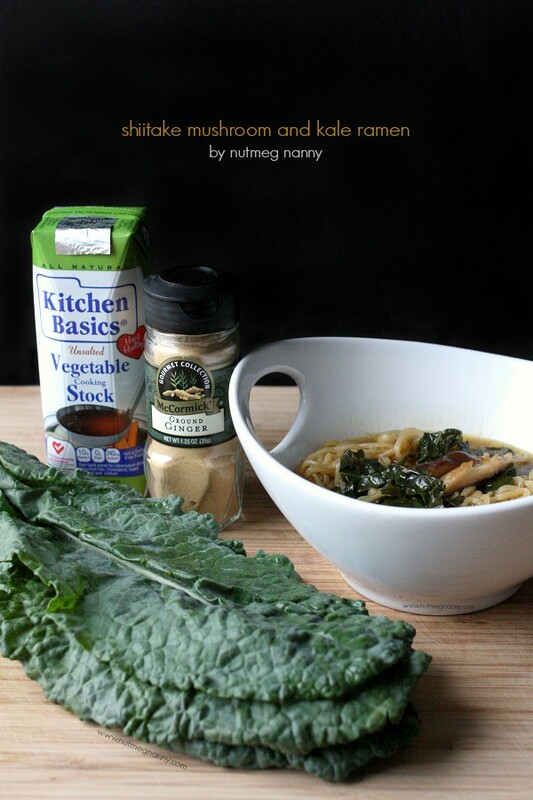 This hearty shiitake mushroom kale ramen is perfect for cold winter days. Packed full of vegetable stock, shiitake mushrooms, kale and noodles. In a high sided skillet set over medium high heat add olive oil. Once the oil is hot add green onions, kale and mushrooms. Saute until they just start to soften. Add in ginger, salt, pepper and chili garlic sauce. Quickly stir to combine and pour in vegetable stock. Note: I use a packet of Top Ramen (you know the super cheap stuff) for my noodles. I'm sure there are other fancy really tasty ramen noodles and feel free to use those if you can find them. Also, I just throw away the flavor pack that comes in the packet. Don't hate me. sriracha is NOT optional – I freaking looooove it! Also, loving this ramen. I totally need more of the stuff in my life. This look SO good! My kind of meal–nothing better than a big bowl of ramen, especially at this time of the year. And love your version with shittake mushrooms and kale!!! I ate SO much ramen as a kid. But these days I would totally prefer this way more tasty REAL flavored grown up version! 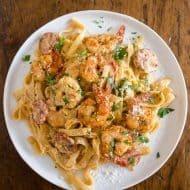 This looks so good & way easy! I think we will be making this very soon. Thanks for sharing. This is what ramen is supposed to look like!! I have a packet of fresh noodles in my fridge now – and some greens that will be perfect! Thanks for the kick in the pants I need to make this Brandy! Made this tonight and loved it! Everyone really enjoyed it, even the kids. This recipe is a keeper! Thank you for a delicious, soy-free ramen recipe. Since I don’t eat soy or sugar, we substituted harissa (from Trader Joe’s) for the garlic chili sauce. Other than that, we made it exactly as written. Super easy and so, so good. We are looking forward to making this many times this winter! 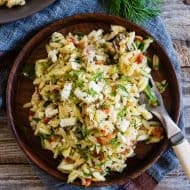 This recipe is wonderful, delicious and quick. I have made it several times, my family loves it, thank you so much!! !